This is 'Dragon' a.k.a ' Draggy'-thats what the children of my neighbourhood call him. We do not know what his owner had named him, but he responds with wags when the children call out for Draggy. 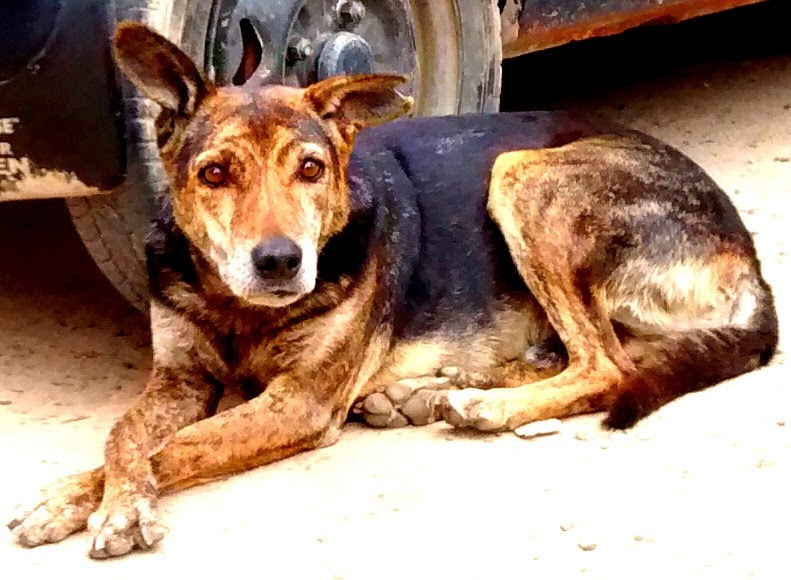 Ageing and abandoned by his owner, he has found refuge in our neighbourhood. He has struck a friendly chord with the children as well as with the adults. He has been adopted by one of the Security Guards of our neighbourhood and can be seen patrolling with him at night. It is amazing to see his williness to survive, ability to forgive and forget and move on. Animals have the ability to teach us what a lifetime of learning cannot. Now, meet Pepi - a spirited little Chihuahua, ever curious, a bundle of endless energy. Based on a true story, Hello Pepi : A Toy Dog for Real - books 1 to 5, is a celebration of love and friendship. 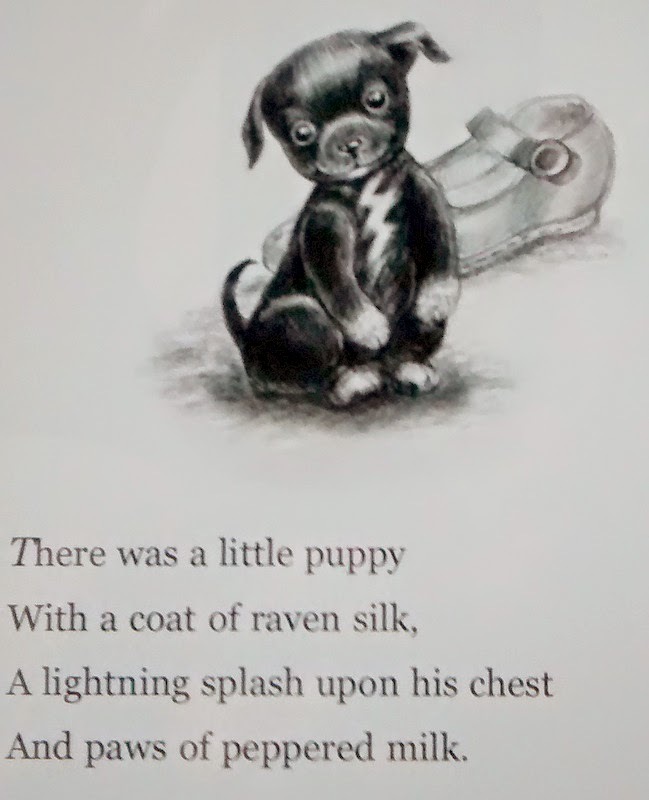 In books 1 to 3 ( Hello Pepi, Pepi's First Things and Pepi Goes Parkies) Pepi, raven black with a lightning bolt on his chest, piglet ears, warms up to a little girl Mona and in a way, chooses her to be his owner. Mona now a responsible Mum, feeds and trains Pepi with the basics. Pepi meanwhile, is busy exploring his new home, braving little accidents now and then. He loves going outdoor , a cynosure of all the little girls and boys of the neighbourhood. Pepi enjoys his trips to the park, specially ball fetching games. Once while playing in the park, he meets with an accident and is forced to stay in bed. It is a lesson for both Pepi and Mona. Alarna Rose Gray has written the book in verses funny, sweet and smart. There is a lovely rhythm. It is difficult to stop turning the pages. The illustration, done by Kim Sponaugle, in black and white is adorable. Perfect gift for young readers. If you want to know about real Pepi, please visit Alarna's blog site. MOUSE SEES THE WORLD !! How deep is the sea ?